With 2017 a quarter done — I know, right? 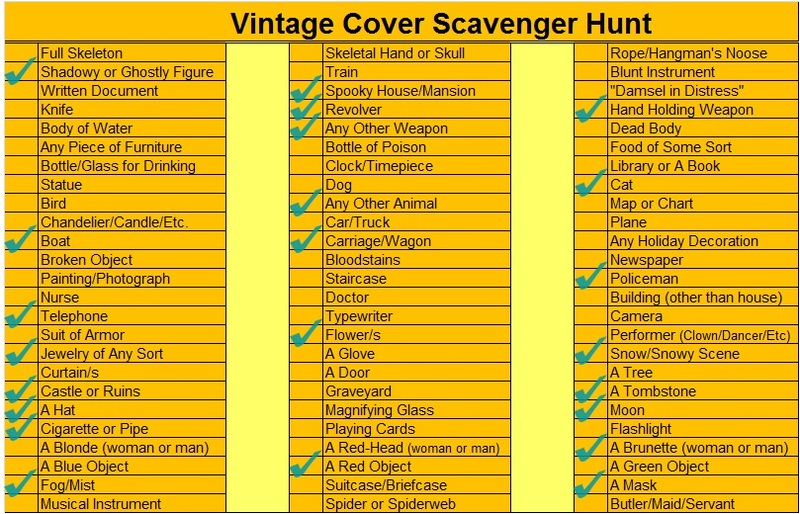 — I’m sure you’re all champing at the bit to be updated on my progress with the Follow the Clues and Vintage Cover Bingo challenges set by Bev at My Reader’s Block. Yay Well Done JJ! You are racing along on the scavenger hunt. 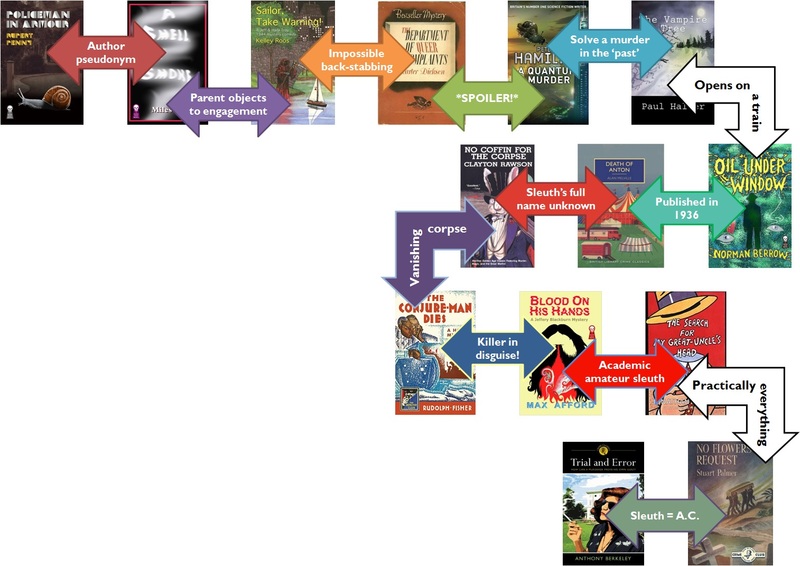 Also loving the follow the clues picture. I may have to steal the idea … or not depending on how fiddly it is to do! Rest assured, Kate, if I can do it then anyone can. My technical specialities are limited to “mysteriously tangling ropes that were perfectly coiled four seconds ago” and “spraying deodorant the wrong way so it goes down the inside of my hand”. Got a 100% success record at both of those, but all other skills elude me. Well to be fair that last skill does sound like quite a feat!